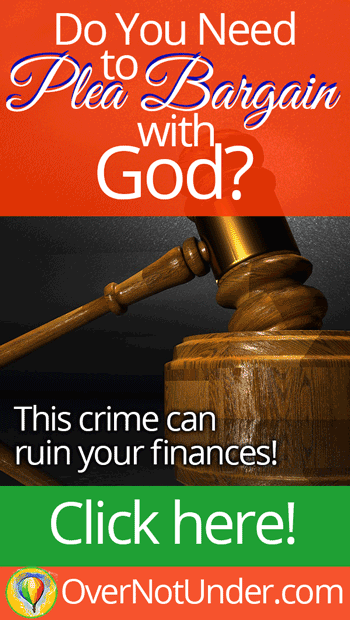 Do You Need To Plea Bargain with God? If you knew that a crime was being committed against you that was ruining your finances, would you try to get it stopped? Worse yet, what if you found out that you were the one committing the crime? The bad news is that you probably have been committing a crime against yourself. I know I have. And this particular crime is really insidious and really harmful. In fact, it will destroy your finances. The good news is that Papa God will forgive you and help you make everything right, undoing the damage that was done. The crime is squatting on God’s stuff. And a lot of us, including myself, have been squatting on God’s stuff. What does it mean to squat on God’s stuff? It could look like two things. First, it could look like thinking and acting like everything is yours. “The earth is the Lord’s, and all its fullness, the world and those who dwell therein” (Psalm 24:1). “For every beast of the forest is Mine, and the cattle on a thousand hills. I know all the birds of the mountains, and the wild beasts of the field are Mine. ‘If I were hungry, I would not tell you; for the world is Mine, and all its fullness. Everything belongs to God. Everything. And it’s for His glory. So if we think anything belongs to us–anything at all, even if we don’t think everything belongs to us–then we’re squatting on God’s stuff. We’re sitting on something, taking something, using something, living in something that is HIS, and we’re acting like it’s not. Squatting on God’s stuff could also look like mismanaging His stuff. If you think about it, we don’t mistreat things that belong to someone we respect. If Jesus Himself stood in my bedroom, handed me His crown, and asked me to hold it for a minute, you better believe I’d hold that thing close. I wouldn’t move. I wouldn’t let anything happen to it, because in just a minute He’s going to ask for it back and I don’t want to be the one who messed it up. … and I have mismanaged them all. I’ve left the trash in the car, the clothes on the floor, the dirt in the bathroom, the dishes dirty on the kitchen counter, the tools laying on the floor, and too much fat accumulate in my body. All of it. I have mismanaged it all, and it’s all His stuff. And if I’ve treated His stuff that badly, doesn’t that mean that I really think it’s my own after all? Like we just said, there’s no way I would mistreat His crown. But He has left me even more than His crown … and I do treat it badly. Can you identify? Have you been squatting on God’s stuff? Have you been thinking that everything or anything is yours? Have you been acting like you own anything? Have you ever mismanaged anything God has entrusted to you? If you have, then you’re guilty right along with me. Again … Jesus, have mercy. 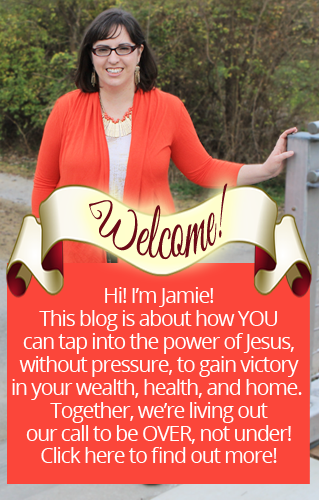 I’ve seen financial experts say that you should sign a quit-claim deed, handing everything over to God. I thought about making one of those for us all to sign individually, but something about it just doesn’t feel right to me. Because when you deed something over to someone else, it has to have been yours to begin with. But you and I have never owned anything. It has always been God’s, and we’ve been squatting on His property without right. So when someone squats on your property, what do you do? You call the sheriff, have them arrested, throw them into jail, and take them to court–hoping for a big sentence of prison time. But I don’t want to go to jail. I don’t want to be punished. And fortunately for me and for you, there’s a solution. That solution is the blood of Jesus. It’s the blood of Jesus. Jesus, who died to purchase the forgiveness of sins for you and for me. Jesus, whose blood made a way for you and me to be reconciled back to God. Made right with Him, just as if we’d never sinned. And squatting on God’s stuff is sin. Mismanaging His stuff is sin. I can’t write a quit-claim deed to Him, because I have nothing to deed over to Him. It’s His, and I’ve been squatting–sinning–and I need mercy. Fortunately, the Bible says that we can obtain mercy when we do only one thing: confess. We have to confess. And that kind of confession is called a plea bargain! We have no right to mercy. We are guilty! We have been squatting on God’s stuff! But, God says that when we come to Him and plead guilty–confessing our sins–He is, right now, faithful and just to forgive us and cleanse us. That’s good news, friend. Good news that changes everything. 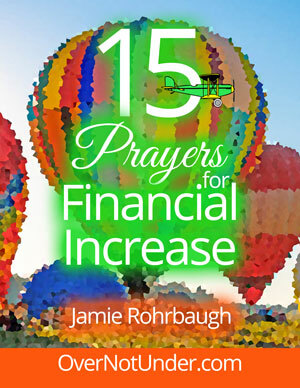 This good news will change your life AND your finances. You’ll no longer waste money. Instead, you’ll tithe, save, and spend wisely. You’ll no longer trash your house. Instead, you’ll work on picking it up and making things tidy for Jesus. You’ll no longer trash your body. Instead, you’ll learn how to put healthy food into it and improve your health … because yes, even your body belongs to Jesus. Everything is His, and we’ve been squatting on God’s stuff. I know I have, and I’m working on getting it cleaned up. I’m working on cleaning my house, washing my car, not eating out so much, and taking better care of my body. Would you like to plea bargain with God today? “Father God, I come before You in Jesus’ name. Holy Spirit, please help me pray now! I’ve been thinking that things are mine, when in reality they are Yours. I have been treating things like they were mine; like I had a right to mess them up if I wanted to. I have been mismanaging Your money, Your body that I live in, and Your stuff. Father, these things are not in line with Your character. I have not been obedient to You and have not obeyed You when it comes to managing Your stuff. I admit it–and I admit that my disobedience and mismanagement are sins. Father, I am guilty. I have no excuse. But, I am here to plead the precious blood of Jesus. Your Word says that, if I confess my sins, You are faithful and just to forgive me my sins, and to cleanse me from all unrighteousness. I have confessed my sins to You, so I ask You to forgive me and I thank You for doing so. Cover me with the blood of Jesus. Wash me clean and cleanse me, and make me wholly new. Papa God, please help me to change and change me. Help me to do what I need to do to draw close to You and obey You. Help me to honor You in all things. Help me to obey You and do my part. But Father, I also ask for Your mercy–that You would change me also. Take away my old heart and give me Your heart. Take away my old spirit and give me Your Spirit. Make me like You. Give me godly character. Give me a deep revelation about my role as a manager of Your stuff, and make me a good and faithful servant. Thank You, Father. Thank You for forgiving me. Thank You for washing me in the blood of Jesus. Thank You for paying the price for my sin, Jesus. And thank You for a new heart, new spirit, and new grace and mercy every day. Let it be all for Your glory. Have you been squatting on God’s stuff? Did you plea bargain with God right now? What is He saying to you about this? Please leave a comment below! I’d love to hear your thoughts! You can definitely make things right with Papa through the blood of Jesus. Praising God for His forgiveness and conviction over us. Thank You, Lord Jesus, for dying for us. I’m so sorry for my sins, I’m guilty also. What an awesome message. Really puts the things of this life into perspective. And gives me more motivation to maintain a tidier house, car, etc. Good word!! !